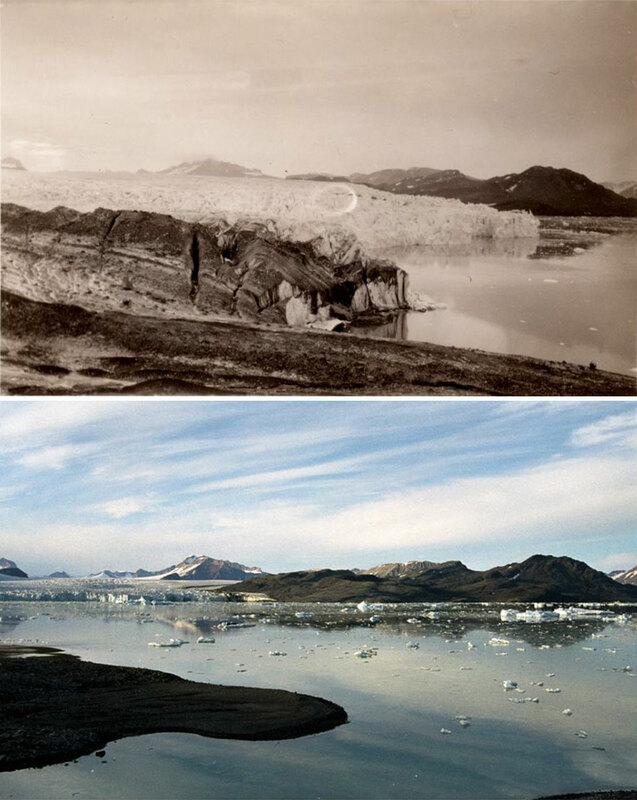 By the beginning of the 20th century, Arctic glaciers were one of the greatest riddles of nature. 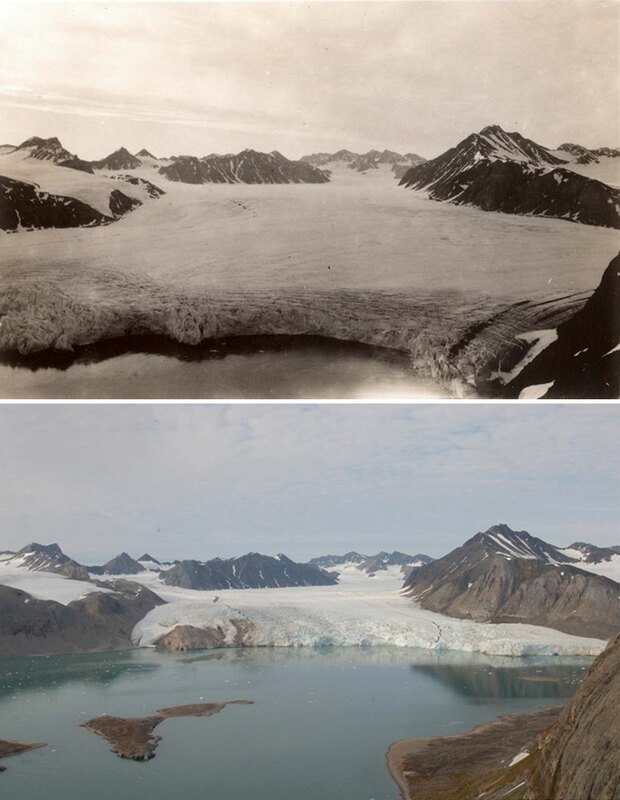 Researchers spent more than a century investigating and discovering the effects of glaciers on climate change. 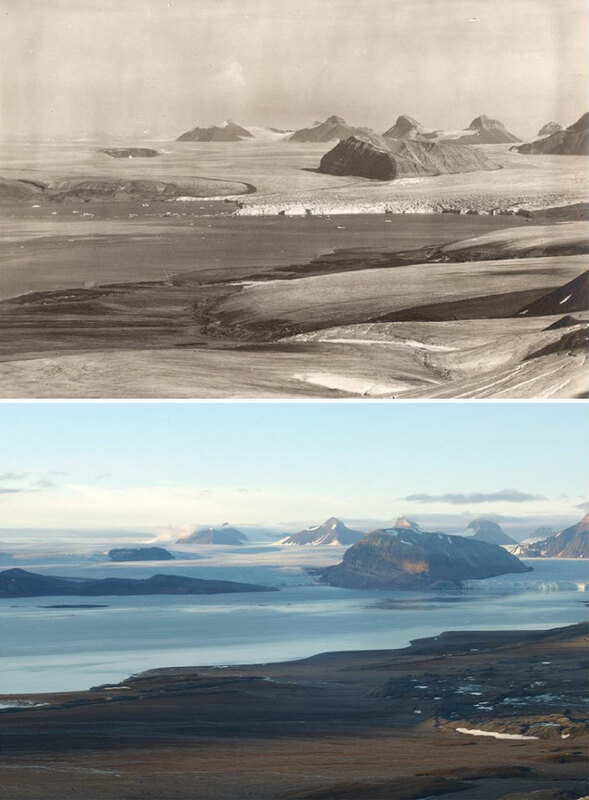 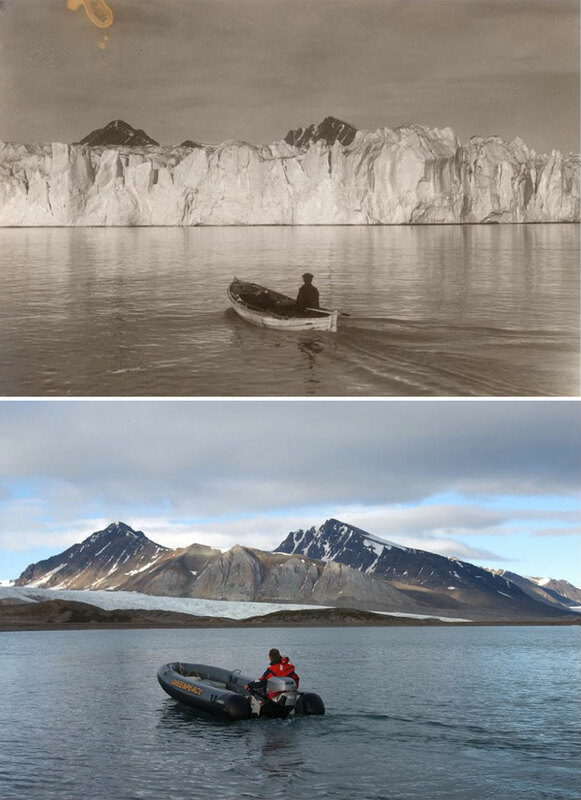 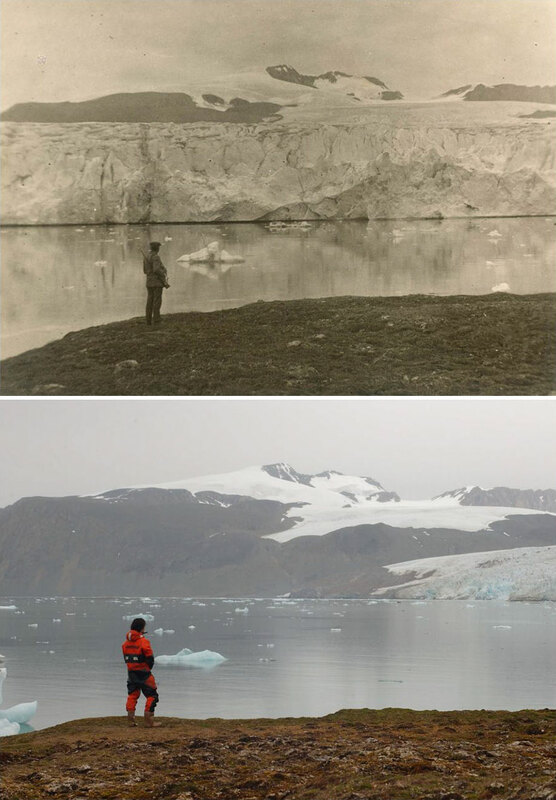 Christian Åslund, a Swedish photojournalist who works with Greenpeace, took several early photos of glaciers in Svalbard, Norway from the Norwegian Polar Institute, and compared them with his previous photos of the same locations from 2002. 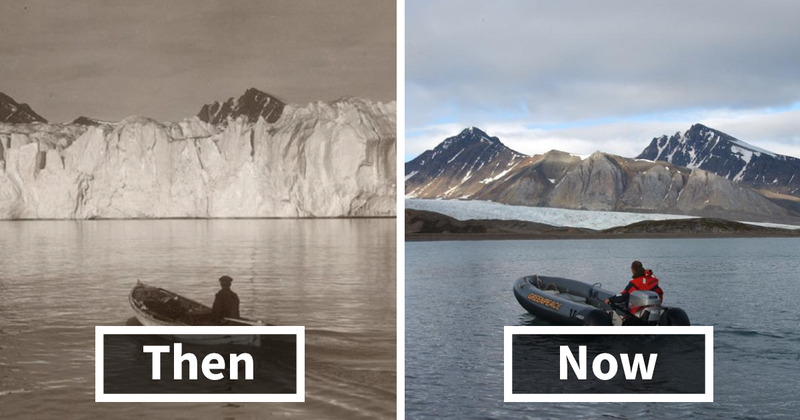 Take a look at them and find the differences between then and now; you will be shocked! 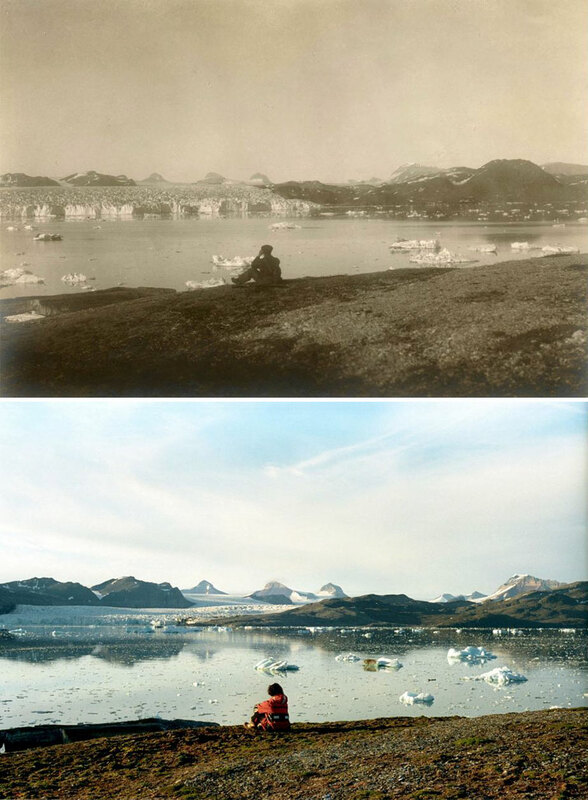 Aslund is using the photo series to promote #MyClimateAction, a National Geographic campaign that supports discussions about climate change and protests against Norwegian oil companies drilling in the melting Arctic. 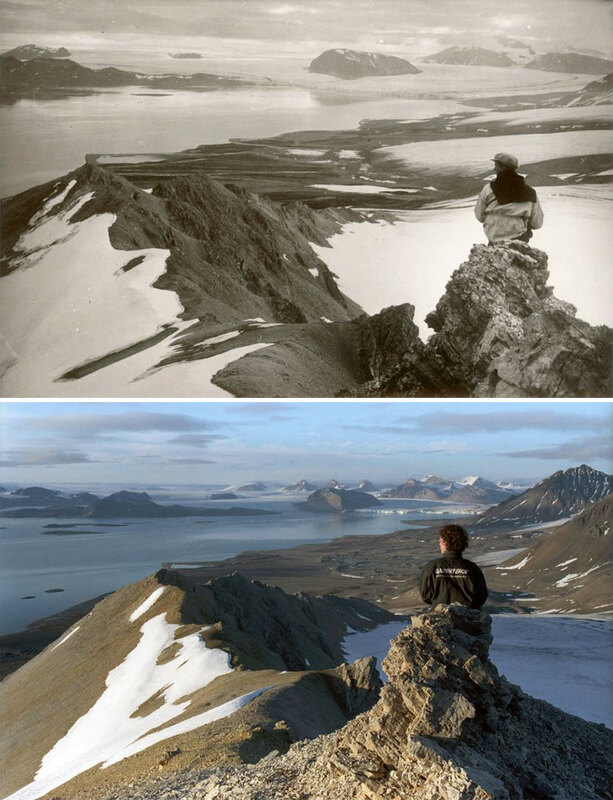 You can sign Save The Arctic's petition against Arctic oil here.